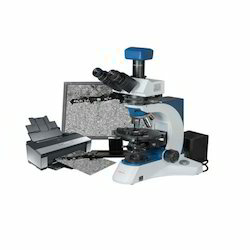 Our product range includes a wide range of advanced metallurgical analysis system - ri-size 5.0, advanced metallurgical analysis system - ri metal 1.0, metallurgical analysis system and advanced metallurgical analysis system. 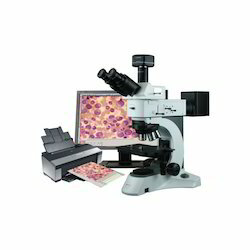 Image Acquisition : Acquire Images are taken from high resolution Twain Camera or CCD Analog Camera. 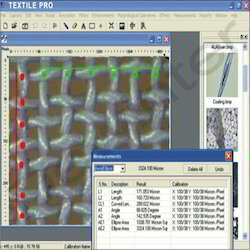 Porosity : With accordance to ASTM B276 , measurement of each pore is displayed. Particle Measurement Density Count Classification : Identification of objects in an image, count them, obtain several features measurements. Objects identification by user or automatically. User defined classification on basis of size or intensity. Filters : Background subtraction and contrast enhancement of color or grayscale images Arithmetic image functions (Boolean Math; Add, AND, OR, XOR, DIFF, MIN, MAX, +, -, /, *, And Simple). Automated recognition of objects on current image. 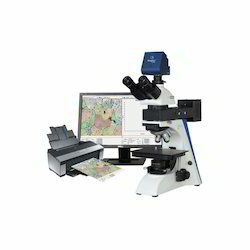 Looking for Advanced Metallurgical Analysis System ?